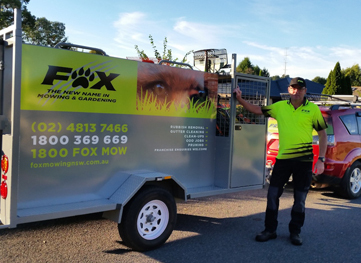 Your local operator servicing the Southern Highlands area is Paul Teeuwen-Green. Paul Teeuwen-Green is a local Southern Highland resident from a military and trade background who has earned qualifications in agriculture and has 10 years’ experience in organics and permaculture. He has also volunteered many hours over the years with Moss Vale Community Gardens and has helped out with other community farms and gardens. Paul Teeuwen-Green is passionate about providing the best customer service possible and enjoys consulting with customers about their needs – working together for better outcomes. As a reliable garden maintenance professional Paul Teeuwen-Green services a wide variety of properties including residential blocks and large acerages and provides ride-on lawn mowing, gardening, weeding, hedging, mulching, fertilizing, pressure washing, garden cultivation and cleanup services to his clients. Paul Teeuwen-Green services the Southern Higlands areas Moss Vale, Sutton Forrest, Bowral, East Bowral, Berrima, New Berrima, Mittagong, Colo Vale, Avoca, Burrawang, Welby, Glenquarry, Bundanoon, Werai, Medway, Manchester Square, Fitzroy Falls, Exeter, Penrose, Belanglo, Woodlands, Willow Vale, Balaclava, Renwick, Braemar, Aylmerton, Alpine, Kangaloon, Robertson and surrounding suburbs.